I kind of like this system. We don't use it on the Veritas, but there is an appeal here to clarify who needs to response/read with care. This would especially be helpful on busy sims. Wow, large bunch. Congrats and welcome! 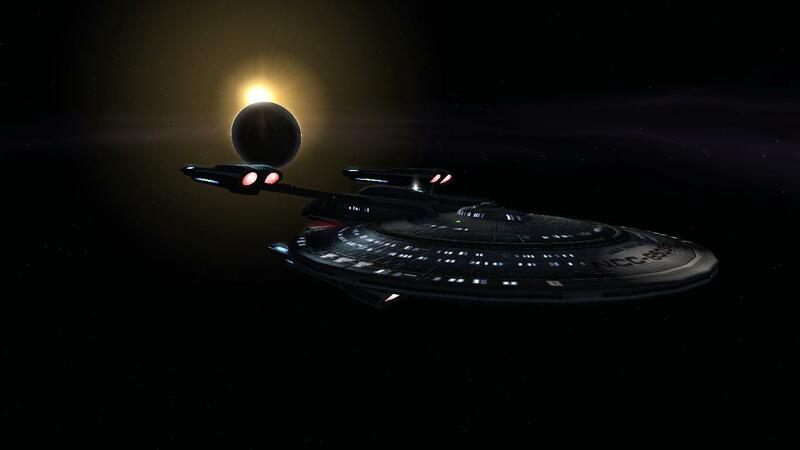 The Starbase seemed sparse. Not many officers about and certainly not many civilians. That said, word had it there was an incident that was being handled. Valoru had heard about this on the news channels and put it on the back burner of his mind while he finished his studies at the academy. But now, being at Starbase 118 brought those news clippings to the forefront - perhaps things were really going down. Or perhaps it was the fact that it was 0400 hours and most alpha and beta shifters were deep in sleep. 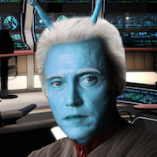 The Andorian walked the main promenade and nodded to a few folks and saluted to a few officers - he was in fact in his cadet uniform still. He was noticeably fit and would normally be wearing a grey cloak to conceal his true nature, while not on duty. His body (hands and feet) being a lethal weapon, he tried to make it less obvious. But he was fit and strong and walked with purpose everywhere he went. His purpose this morning was a coffee. He had always enjoyed the intricacies of Human espresso, among other similar beverages from other species. There was a cafe open and he went in and ordered a double shot, sipping casually as he eyed passers-by. From inside the small portico of the bar, he could avoid senior officer protocol and still catch all he needed to - the mannerisms of the woman who obviously had some nerve-racking issue going on; the darting eyes of the security officer on duty; the laughter of a couple children and the not-so-thrilled reaction of their parents at this wee hour. 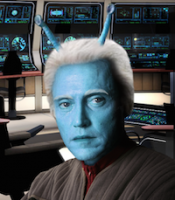 It was all soaked in by the astute Andorian. Valoru would remember them if he needed to, although most of what was going on could be discarded from his memory banks. Except that good cup of caffeine - that one was committed to memory. "Welcome aboard, cadet," came the voice of the barista. Valoru turned and bowed his head in thanks, remaining silent as was his nature, and headed out to find his quarters for the cruise.